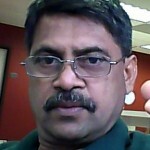 JVP’s Vision And Policy Framework: A Lapse In The ‘Vision’! Without any shame, capitalists do admit that “human greed” is driving the economic progress. In a response to my previous article on this same subject, a reader of CT made a blunt comment of this fact. It is interesting. Let me quote it. Do the socialists admit the above notion? I am raising this question because it is an important question to be resolved not only by socialists but also by economists of all schools too. If we do admit “human greed” as the most important element that drives the economic prosperity, then we have to admit the validity of economic mechanism that nurtures the “human greed” more and more. What is that mechanism? It is none other than the individual’s right to own the means of production; in other words, private ownership of the means of production. Capitalism has accepted it. However, as far as I know, Karl Marx said that private ownership of the means of production leads to exploitation of workers labor power. This is also true. JVP held this view earlier. But, in its latest “Vision and Policy Framework, JVP has surrendered its earlier conviction on private ownership of production means. JVP has now accepted the existence and fostering of private businesses. My view is that the exploitation doesn’t mean the expansion of productive capital and owned it by capitalist elite. In the final analysis exploitation means that you allocate more consumable output for yourself. To do it you must own the means of production or the government or both. In fact the separation of the distribution of consumable output from the ownership of the means of production, – no matter whether factories and banks are owned by private individuals or corporations or workers or unions or the government or cooperatives – must be a goal in socialism. Why? because, even the government can exploit. However, the recent global economic crisis clearly shows that private ownership of means of production has nothing to do with ensuring economic efficiency. All major banks and businesses in the U.S. which are privately owned, such as Bank of America, Citibank, JP Morgan Chase, Wells Fargo, General Motors, Chrysler etc. should have bankrupted by now if not propped up by the government. Therefore, it is clear that continuing economic efficiency and stability purely do not depend on the right to own the means of production. It is clear that “human greed” cannot sustain the continuing economic prosperity. Perhaps, “human creativity” and “systemic reforms” would ensure economic efficiency in capitalism and in socialism too. The development of physical productive forces is not cyclical, but we have a macroeconomic system that follows boom-and-bust cycles. If the development of physical productive power behaves in a boom-and-bust cyclical pattern, we have to tolerate the boom-and-bust cycle of macroeconomic output and the system as a whole. But if the progress of the physical productive power or the potential of the increment of physical productive power is progressive, then it is not necessary to tolerate the cyclical behavior of the macroeconomic system. This does not mean that the business cycles of microeconomic system (which correspond to the performance of individual enterprises) should not be tolerated; instead, such cyclical behavior is necessary to ensure business efficiency that is based on consumer preferences. Businesses should be allowed to fail and new businesses should be allowed to emerge based on efficiency and consumer preferences. But macroeconomic system failures occur not due to consumer preferences—but due to the general illiquidity of consumers arising from a cyclical bad debt crises. The illiquidity of consumers is not a physical phenomenon but a monetary phenomenon; and money that is not “real” is an abstract quantity, which we can control. That is why I strongly argue that we could have prevented the collapse of macroeconomic systems in the US and Europe in late 2007—and the crisis could have been resolved rather quickly if we change the monetary equation. To do it what was—and is—needed is a new macroeconomic policy tool and new wisdom. Systemic error is much severe than petty Ponzi schemes. No new socialist or capitalist society, in which people live with a feeling of liberation cannot be built if the boom-and-bust cycles persist. Former CEO of Apple Inc. said that humans are tool builders and that makes us efficient than other species. I think not only that, they equally capable of building economic systems that ensures efficiency while distributing the distributable output fairly. Then only we would feel being liberated, as mentioned in the JVP’s Policy document. How Does A Principle Get Rooted In A Society? “Only fools and Gods do not change”. The clever ones change according to the times. There are bosses and then there are followers. Then there are fools who hand on to ideologies. They never make it. JVP has realized that to get somewhere one has to adapt and change. One “Big Ugly Fat Fool” ended in a swamp in Nandikadal when he almost had it all but wanted more. I don’t know what is your motive or the relevance of your statement. Do you think you are clever enough to make your above statement. Cleverness should bring success and it should give permanent happiness to people. Opportunists also make changes according to times but they make changes to exploit the situation to their personal benefits, not to the benefits to the people. I think the subject here is about economic policies, not about political outcomes. I read an article about the barriers to problem solving. One of the key factors is “irrelevant information”. Human greed may be the engine of growth but an economy cannot be sustained on greed alone. An economy can be sustained, however when you add charity (not just taxation) as an ingredient in economic theory. In other words, doing good is good business (Richard Branson). An excellent way of introducing Sytems Dynamics!!!!! JVP has taken a correct path, they are perceived as transparent,clean, free of any fraud,corruption and commission.All that is good now is the time JVP must tilt slightly towards private sector be it the industrial or trading partners in the country to show and give some confidence, that all in JVP is not Stalin and Lenin. As a matter of fact communism lasted barely 40 years in spite of all these people making an impact in the post war world. walls have come down and China today is buying and investing billions and trillions all over the world expanding their own empire but not with Mao Tse in the front. Hema has analyse the JVP very correctly. 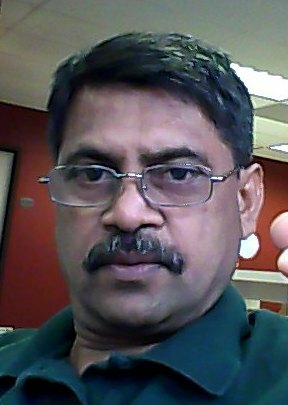 The present leader of the JVP is a capable and intelligent person, but the policies they adopt are very inappropriate to a country cripple by the Open Economic theories of late JRJ. In 2006, JVP did their biggest misunderstanding of their strength. When the JVP was offered 50 Local government councils, they demanded 100 council and as they disagree with President Mahinda Rajapaksa they left the government. As I was working for the GoSLas a Volunteer Consultant, and was. Very pleased with some of the work the JVP undertook, I spoke to A.K.D, the present leader for to ver two hours and explained to him the faulty education policies (as I am an Academic with many year experience in the Technology sector) and try to pursue him to gethisparty to agree for 50 .Councils but failed. JVP always overestimated their strength and after thinking that they can win 100 council end up with Thissamaharama only. AKD told me that Ambalangoda where the JVP was born and my home town is one sure council they can win. When I told him iit is an impossibility as JVP can only one seat. The day JVP can start thinking about good education policies and STOP over estimating their abilities JVP will have a chance WITHOUT the present emblem.